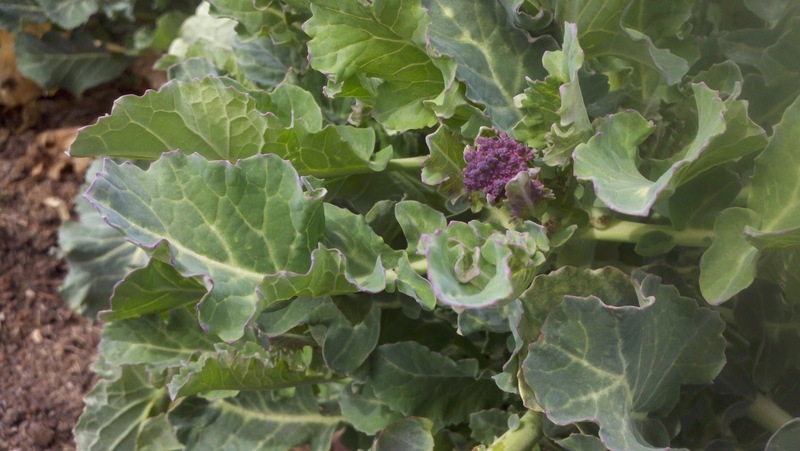 The first sprouts are finally starting to peek out from the overwintered purple broccoli! Keeping up with the BT spray... 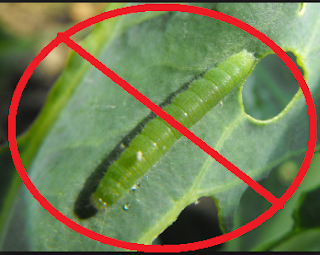 I don't intend to share this year's crop with those leave munching caterpillars. I had the good fortune to harvest a few of these purple beauties and they are tasty! Raw they taste much like any broccoli, except maybe a little lighter... less BROCCOLI and more mmmm broccoli. But lightly steamed they are amazing. Kind of like a mix between broccoli and asparagus. Both the purple buds (which turn green during cooking unfortunately), and the loooooong stems they grow on are tasty. I think you can eat the baby leaves too, but I nipped them off.